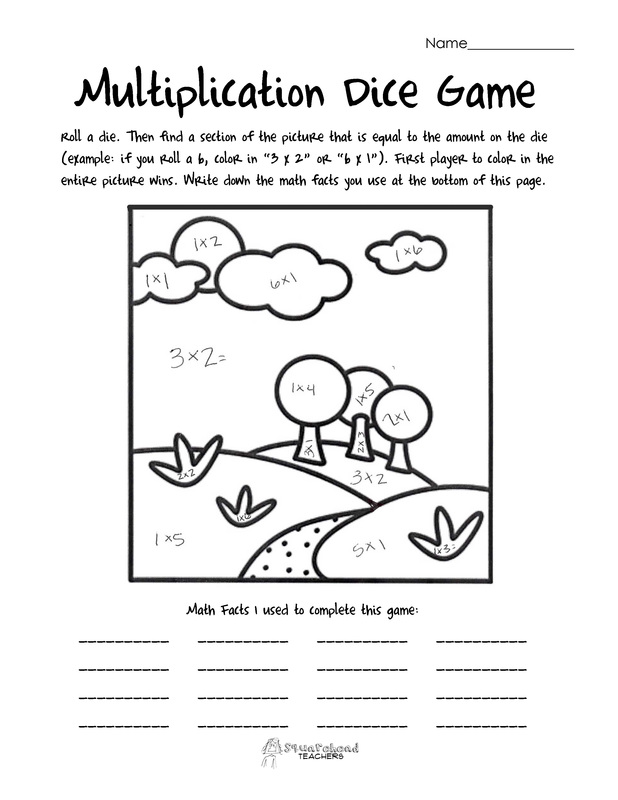 Here’s an easy way to practice the most basic multiplication facts (totals to 6). Players roll the die, and color in a section of the picture that contains the equivalent. For example, if you roll 4, color in “2×2” or “4×1” or “1×4.” Enjoy! This entry was posted in Games, Math, Math Games, Multiplication and tagged Children, Education, Elementary School, Games, Homeschool, Kids, math facts, multiplication, Teacher Resources, Teachers, Teaching by Squarehead Teachers. Bookmark the permalink.